Towel Service: Why It Makes Sense For Your Business | Ace Uniform Services, Inc. Tired of washing your towels every day? Give Ace Uniforms a call! Do you own a business that goes through a lot of towels in a day? Typical examples of these kinds of businesses include gyms, spas, and hotels. 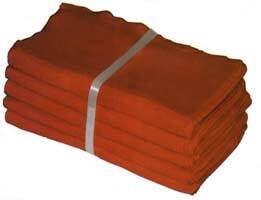 Ace Uniform’s towel service provides customers with undamaged and clean shop towels on a weekly basis. From a business perspective, a towel service is a wise decision. Here are some of the benefits of hiring a towel service and why it makes sense for your business! As a business owner, you should always be looking for ways to increase productivity. In the case of most businesses, faster operations generally lead to higher profits. Washing, drying and folding towels, is a huge time waster! By investing in a towel service, you will be freeing up your day to perform more important tasks. From a financial standpoint, a hiring a towel service makes a lot of sense. You will no longer need to spend money on detergent, fabric softener, or bleach. Also, expect your energy bills to be lower because you won’t need to constantly run your washer and dryer throughout the day. On top of that, you should also end up saving money on paper products like paper towels. A huge luxury of choosing ACE Uniforms towel service is that there’s no initial investment! When business owners consider services like these, they often assume that they are going to be slammed with upfront costs. However, this is not the case for our towel service! In addition to the money that you will save by going with a towel service, you will also be helping the environment! Ace Uniform is always environmentally conscious with its towel service practices, so you should feel good about chooses out services for your business. This entry was posted on Friday, October 20th, 2017	at 6:11 pm	. You can follow any responses to this entry through the RSS 2.0	feed. Both comments and pings are currently closed.